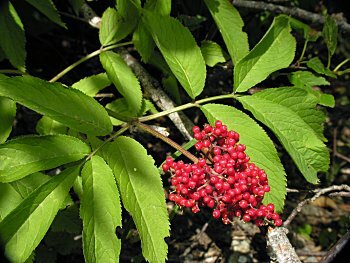 In North Carolina, Red Elderberry is an uncommon shrub found only at high elevations in the Mountains. 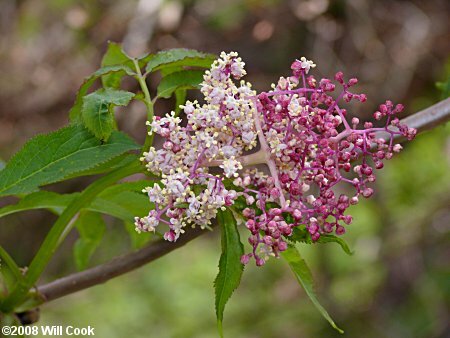 Similar to the Common Elderberry of lower elevations, the inflorescence is not flat-topped, longer than broad and slightly pinkish. 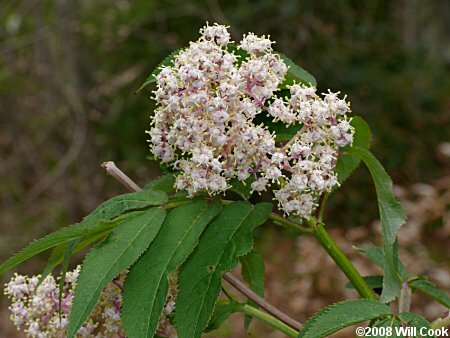 The leaves are extremely malodorous when crushed, smelling like a cross between Skunk Cabbage and Ailanthus. Unopened flowers, on the right, are pink. The bark is a light tan with round lenticels. 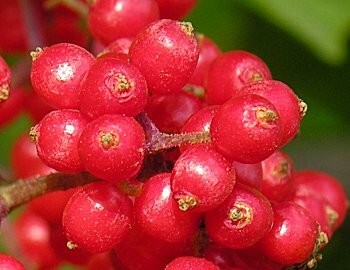 Similar to the Common Elderberry vegetatively, Red Elderberry is easy to identify by its bright red fruits. 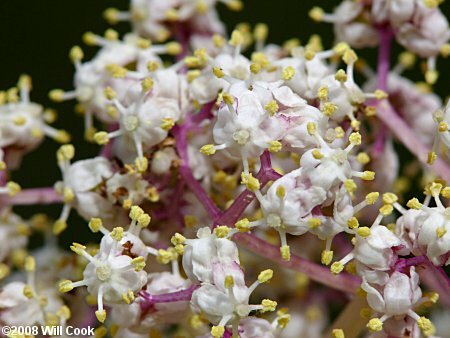 When not in fruit, it can also be identified by the brown pith (white in Common Elderberry) and the fine hairs on the leaves and twigs (Common Elderberry is glabrous except on leaf veins). 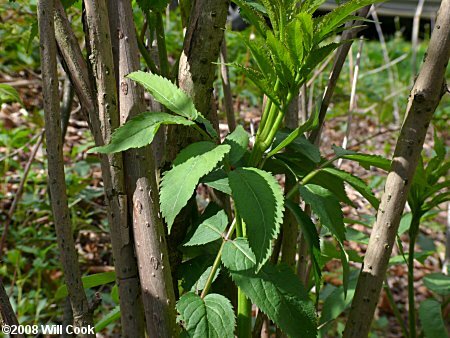 The alternate leaves have 5-7 leaflets. Mt. Hood, Clackamas Co., OR 8/8/06. 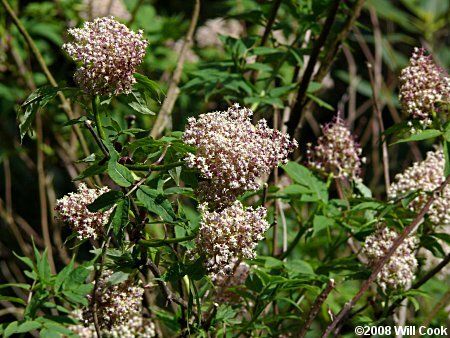 The inflorescence is racemose, longer than broad, while that of Common Elderberry is broader than long. 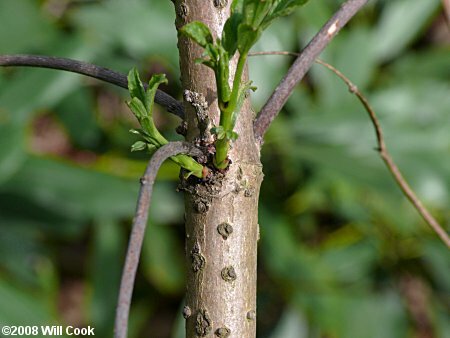 Compare with American Mountain-Ash, which is larger and has alternate leaves. 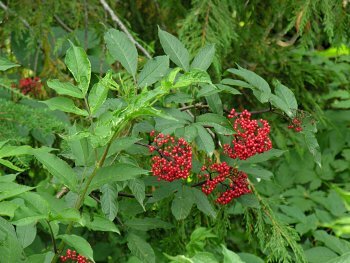 The USDA PLANTS database merges var. 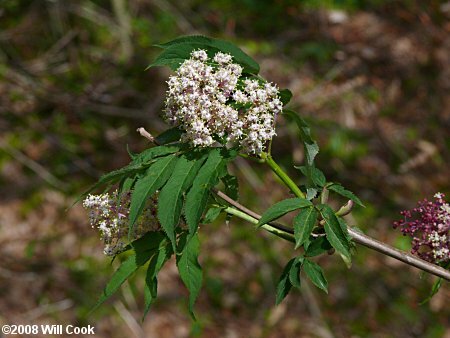 pubens into the European Sambucus racemosa var. racemosa. All photographs and text ©2008 by Will Cook unless otherwise indicated.